← Guest Post Part III: What is a ‘Job’ Today? Why Should You Always Be Job Hunting? 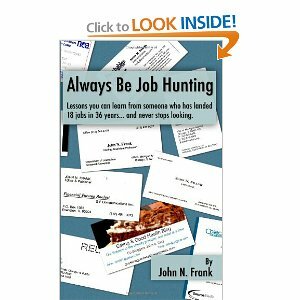 This entry was posted in finding a first job, job hunting, Job search tips and tagged Always Be Job Hunting, job hunting, search tips. Bookmark the permalink.